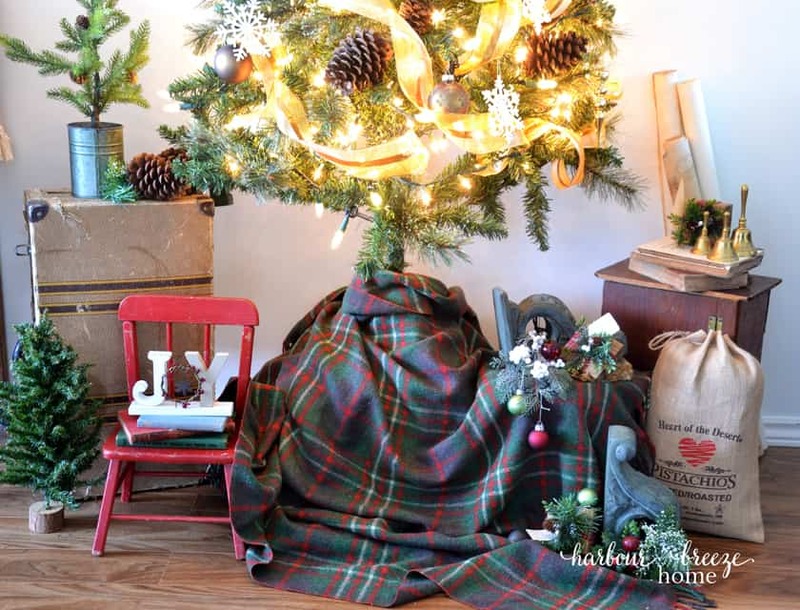 In this article: Find simple ideas to create a farmhouse style look with this farmhouse Christmas tour in a townhouse! even experimented with the easiest turkey dinner ever. 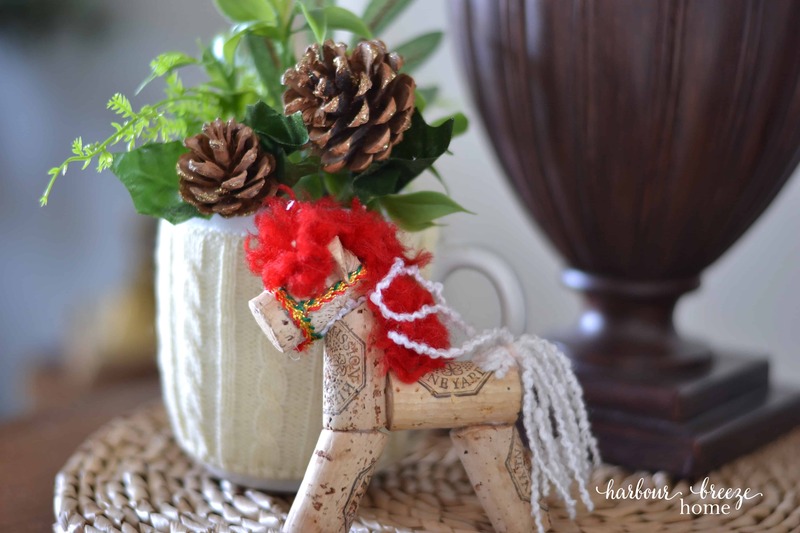 I enjoyed meandering through Christmas projects and savouring all things “home-made Christmas”. 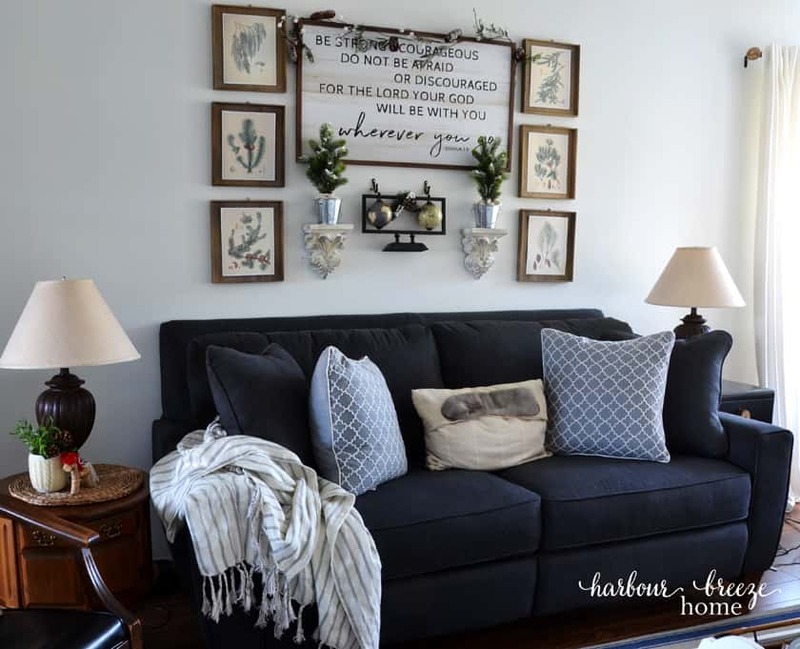 Now, it was just time to get our little townhouse decorated up and I feel like this post is overdue! 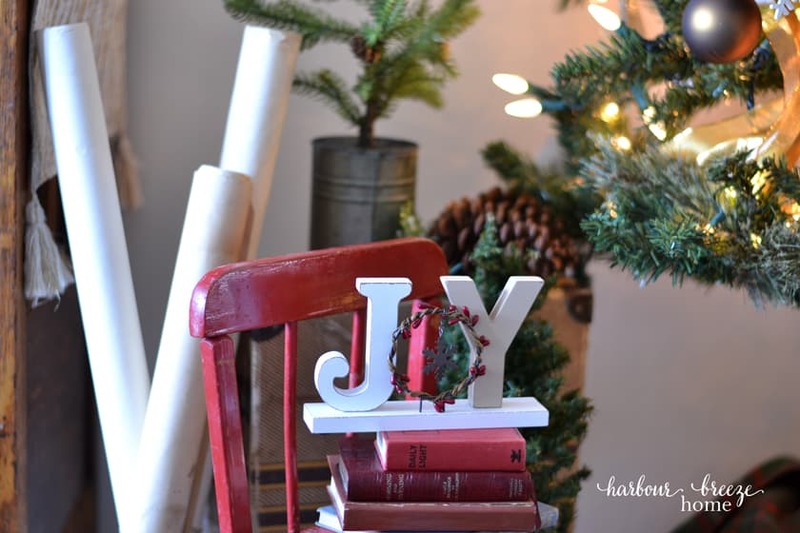 But, the sun finally came out enough for photographing, and although I could still add a few more touches to our little townhouse Christmas decor, I’m not. We’re calling it done for this year. So, without further ado, come on in, friends! For those of you new to our story, we moved from a large farmhouse by the sea to a townhouse 2 years ago (in September). This is our 3rd Christmas spent here, and I must say, this little place is feeling more like home all the time. This room is the space where we spend the majority of our time. It’s the entryway, living room, and dining room all in one neat little package! 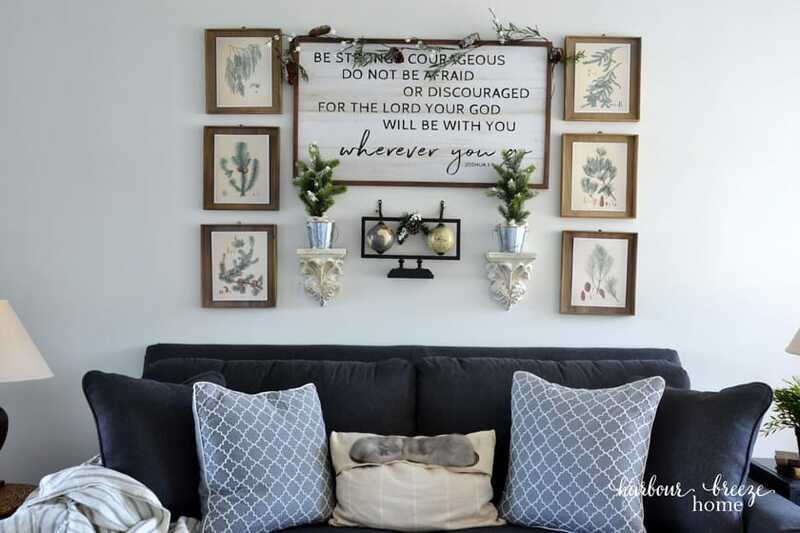 I kept the gallery wall arrangement similar to what it was, but added Winter printables and a few diy mini flocked Christmas trees on the shelves. 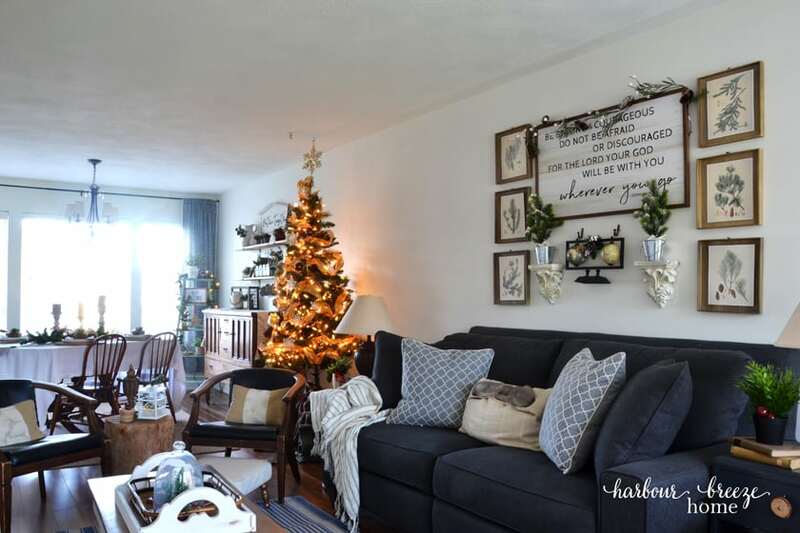 I’m excited that after the Christmas season, I can leave that whole display up there and call it “Winter decor”. The Christmas tree is perched between the Dining and Living Room space and we love its twinkly lights on these dark, rainy West Coast Winter days. The red chair was my Grandpa’s chair as a child. The suitcase behind it stored my baby doll clothes, and the wooden cupboard was my mom’s play dishes cupboard. 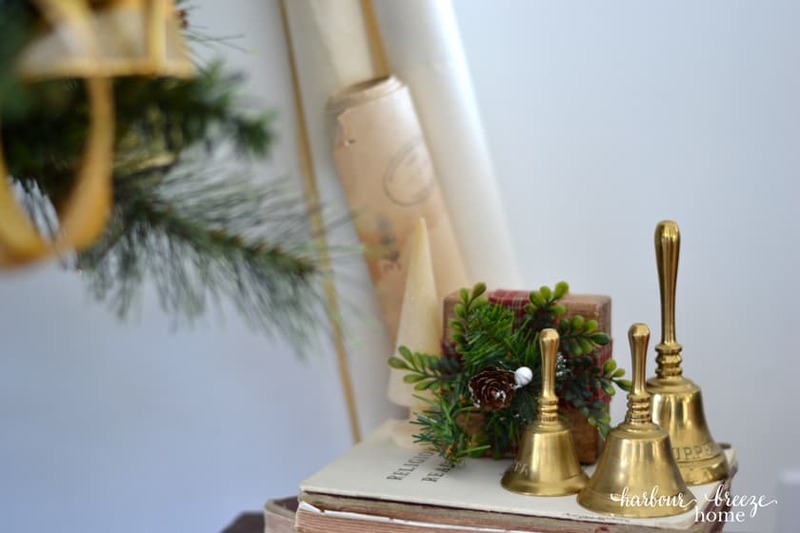 Rolled up maps help add to the display, along with corbels, greenery, and my Mother-in-Law’s bell collection. 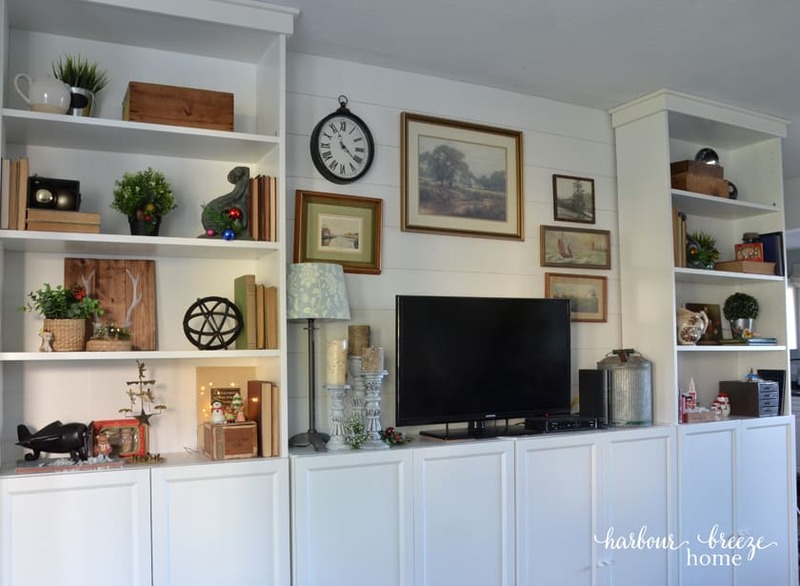 The Dining Room’s new farmhouse shelves are my favorite thing to decorate. 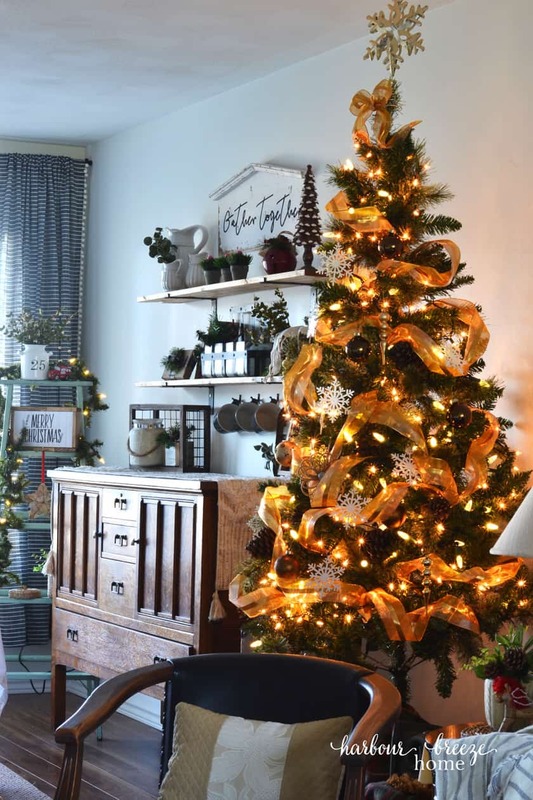 A little old ladder tucked into the corner is a perfect way to add in more greenery and twinkle lights to this small space. The table is set with the diy wooden gift place settings I made a few weeks ago. 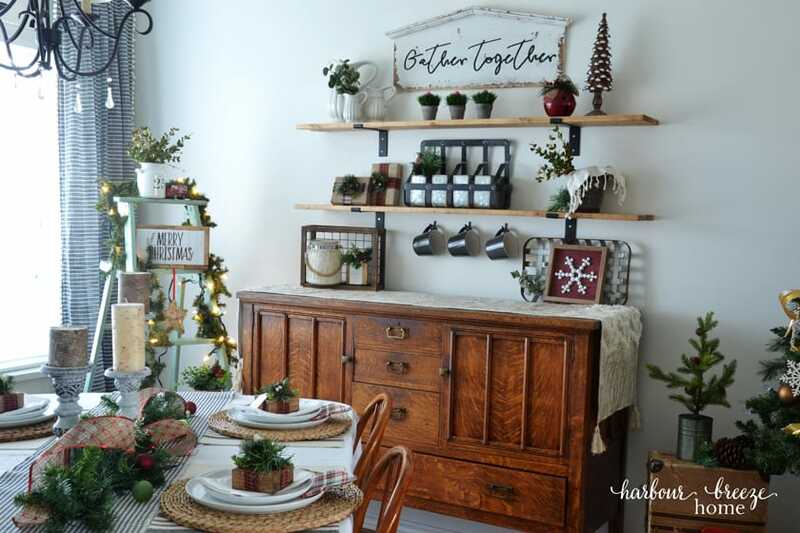 But, when they aren’t in use on the table, I add them (and the greenery of the centerpiece) to the farmhouse shelves as well. 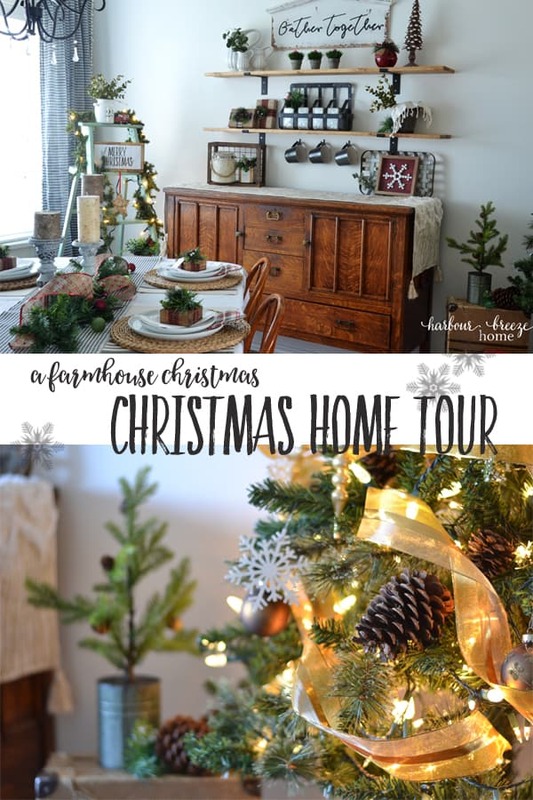 Thank you so much for stopping by to join me on this Christmas tour of our little townhouse (with a farmhouse heart! ).